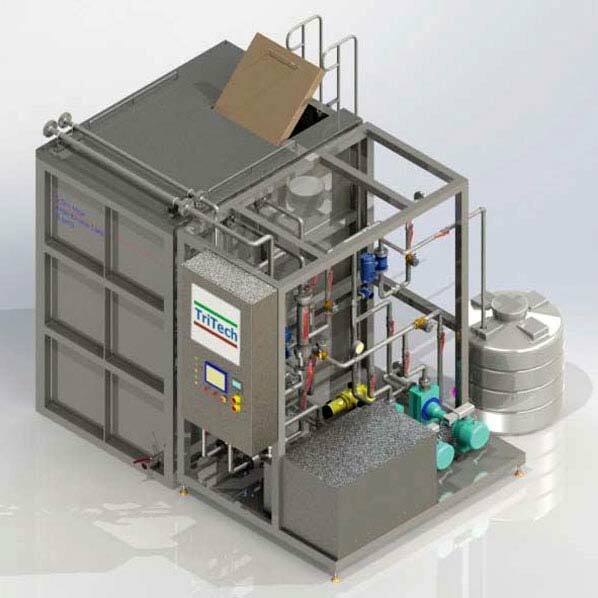 The Tritech® PermaMax™ Integrated Membrane Bioreactor (iMBR) system is a combination of biological wastewater treatment and high effi cient solids/liquid separation. Mechanically pre-screened wastewater is treated biologically and separated from the activated sludge using Tritech® PermaMax™ hollow fiber MBR membrane. The pores are small enough to prevent passage of all solids and bacteria, cells, fats, oils, colloids as well as viruses.